Palm Academy is a licensed learning center and after school program that teaches children from infancy to high school. Established in 2006, we have taught over 200 students in our 2 locations—Fremont and Newark, CA. Our teachers are highly qualified and our curriculum aligns itself to the state standards, as well as to the students’ eye level. WE HELP CHILDREN TO BE SUCCESSFUL IN SCHOOL AND IN LIFE BY PROVIDING A BALANCED ACADEMIC EDUCATION THAT FOCUSES ON CRITICAL THINKING, COMMUNICATION, CREATIVITY, COLLABORATION, AND CONFIDENCE. Palm Academy is a rare mix of the best in education. We have taken on the nation’s top art curricula, Abrakadoodle, and combined it with English, Math, and Critical Thinking programs. Abrakadoodle is nationally accredited and helps students to learn at their own pace. 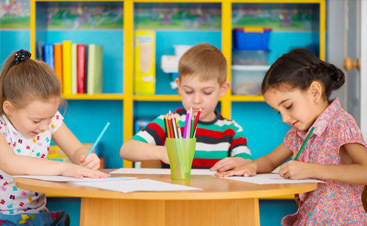 We have also incorporated FasTracKids, which is an early learning program that begins with a child-centered classroom. Students at Palm Academy discover their own abilities and potential to learn inside a classroom focused on a unique interactive education. WITH THE OPENING OF OUR NEW INFANT CENTER, WE NOW PROVIDE A FULL ACADEMY THAT NURTURES AND EDUCATES EVERY ASPECT OF YOUR CHILD’S DEVELOPMENT—INTELLECTUAL, PHYSICAL, SOCIAL, AND EMOTIONAL. We concentrate on including early literacy, critical thinking, problem-solving, social understanding, physical coordination, creativity, and positive character traits such as cooperation and self-control. 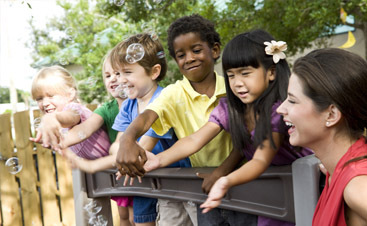 Unlike other daycare centers in our area, we offer a full line of programs designed to serve children from infancy, preschool, kindergarten, and through 12th grade.